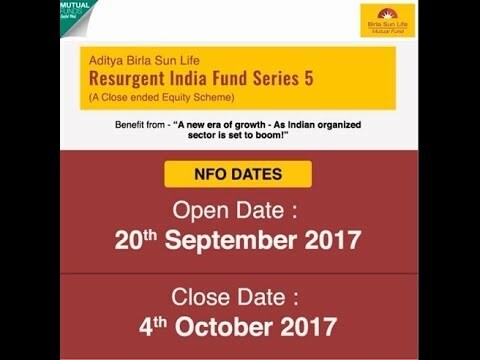 Aditya Birla Sun Life Resurgent India Fund, Series 5. Aditya Birla Sun Life Mutual Fund has launched Aditya Birla Sun Life Resurgent India Fund, Series 5. The scheme will invest primarily in equity and equity related securities that are likely to benefit from the recovery in the economy. The minimum investment is Rs. 1,000. The issue closes on 4 November, 2017.